The 1880 Train chugs through the Black Hills of South Dakota to this day. 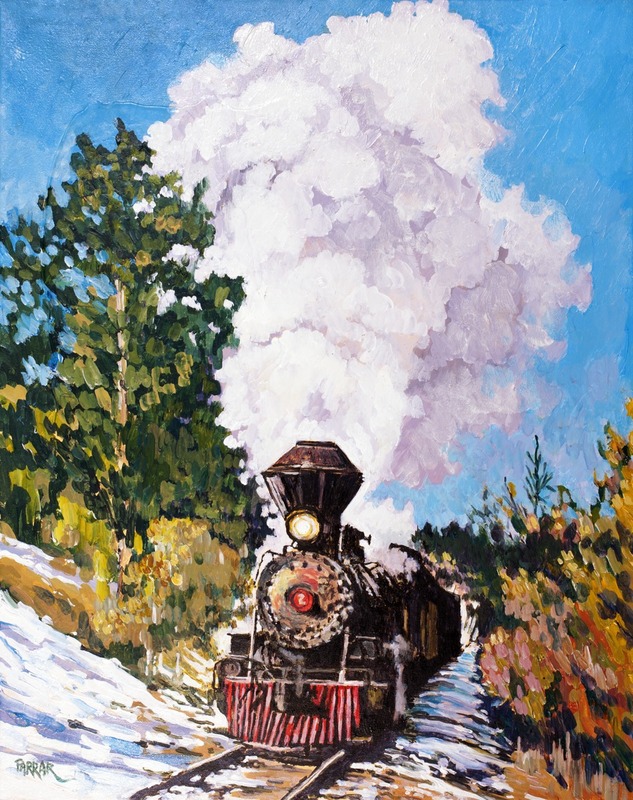 On display now at the South Dakota State Railroad Museum located in Hill City, South Dakota, when this painting is sold, part of the proceeds go to support the work of the museum, preserving the history of the railroads in the state of South Dakota. On display through August of 2016. 11.25" x 9"14" x 11"16.5" x 13"21.5" x 17"26.5" x 21"